Parity is a modern Business Management solutions provider catering for clients from across industries ranging from manufacturing, warehousing, logistics and mining. We pride ourselves in our ability to offer our clients something that no one else in the ICT industry can, which is our experience as we have been in the industry for over three decades. Since the inception of our business we have had, and continue to have a strong focus on people, technology and process in order to create customer experiences and develop a value chain. We are catalysts for success! When you partner with Parity, you will never have to worry about managing infrastructure again and success is sure to follow. Sage Enterprise Management formerly known as Sage X3 introduces a better, faster way to manage your entire enterprise – from procurement to manufacturing, distribution and financials – by integrating all business processes and connecting employees, partners, suppliers and customers to a common source of data. You can now see for yourself with a free Test Drive account of Sage Enterprise Management formerly known as Sage X3. The online Test Drive is a fully functional Sage Enterprise Management formerly known as Sage X3 demo which will provide you with four hours’ worth of “try time”! Our manufacturing solutions are powerful toolsets that enable you to confidently restructure time-consuming financial and operational processes using advanced workflow alerting and business process management technologies that we have designed. Our logistics solutions are designed to integrate seamlessly with your core business management and financial management solutions and accounting systems to ensure that you have complete control of your company’s operations. The warehousing industry keeps the entire economy of the country mobile. Over the past years we developed bespoke integrated distribution chains. Our solutions enable you to confidently restructure time-consuming processes. The mining industry has become notorious for fluctuating demand and cyclic pricing. We have extensive experience in providing world-class business software for the mining sector to help manage the change. As a company involved in the sale, supply and service of goods, distributors are facing increasing demands from customers and suppliers. 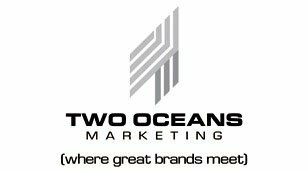 Designed to meet the needs of B2B and B2C companies. Controlling your costs is not enough. Sage Enterprise Management formerly known as Sage X3 manages your entire operation faster and more efficiently – from purchasing to warehousing, sales, and financials – and provides better insight into costs and margins. Sage Enterprise Management formerly known as Sage X3 is not one of those typical accounting systems, it has a number of features that were designed to assist you in manage sophisticated business processes and transactions. It is a centralised solution that manages specific areas such as manufacturing, inventory, warehousing, purchasing, finance, customer relationship and electronic document systems. Microsoft Dynamics GP is a richly featured business management solution that assists you when using familiar software to operate your business. It does this by removing unnecessary obstacles that may hinder your team’s productivity and effectiveness of your team. It connects all your business processes in a centralised management infrastructure. 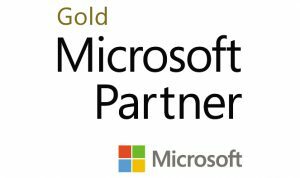 Your Sage Enterprise Management formerly known as Sage X3 Platinum Partner and Microsoft Silver Certified Dynamics Partner. Our business intelligence and systems integration function enables you to zoom in on data to the level of production data. Our reporting module allows you to analyse data at all levels. Moreover data is presented in such a way that it can be useful to the end user. We are not just about statistics, but about what they mean, so that you can be able to make well informed strategic business decisions. Our ERP division provides an accessible set of ERP and CRM solutions so that we can ensure lasting benefits and costs that are considerably reduced irrespective of the industry your business is in. We boast of 20 years in the industry constantly delivering solutions using the latest technology and quality service. Our Customer Relationship Management solution goes far beyond just a software application. It gives you the ability to connect with real people and covers all interactions with valuable customers across your business. The Sage CRM was designed specifically to enhance your customers’ experience. We have over 6 million small to medium-sized businesses as our customers worldwide. As a distribution company, it’s important for us to source products and work with new suppliers quickly by seamlessly integrating them into our supply chain. After all, ready access to information about suppliers, inventory levels, outstanding orders, and shipments translates to cost control and rapid order turnaround. 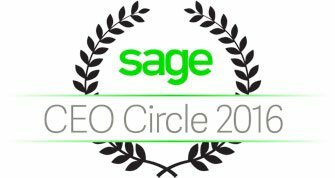 Sage Enterprise Management formerly known as Sage X3 has proven to be a perfect fit for our business needs. the Sage Enterprise Management formerly known as Sage X3 solution seamlessly integrates with their existing IT infrastructure. “The product is mature and offers the required functionality for our business that is optimised to accommodate our geographic spread. The software will enhance our functionality to track our physical assets, perform capital budgets and optimise procurement spend and process. Tubular Holdings’ CEO shares insights on why streamlining operations drives growth.